In October of 2013 the Musician Friends of Porter Creasman, in conjunction with Next Wave Media Lab and Szajna Dynasty Media put on a show to raise money for a trust fund supporting young Porter who is challenged by Autism. Porter’s dad was our good friend Brandon Creasman who passed away suddenly in 2010. We videoed the whole show and are distributing those videos on YouTube! Watching those videos and supporting our sponsors will help us continue to bring music and enhanced educational assistance to Porter. 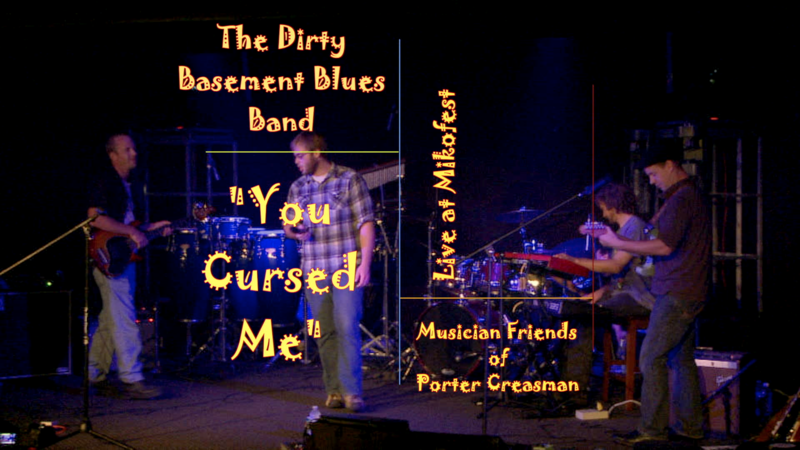 Click this link to watch “U Cursed Me” by the Dirty Basement Blues Band recorded at Mikofest. “Avinu” recorded live in 2010 by Reb Yosil & the Kosher Gravy Co.
Hello! As you know by now, the name of my company is Szajna Dynasty Media. It has been sitting out in the great Internet ether for awhile now and it’s been a useful tool in letting people know who I am and what I do. 1) Give you a better sense of who I am and what I do so that you can decide if we should work together. 2) Introduce you to some of my work and the quality level of what I do. It doesn’t make much sense to have a media company without some freakin’ Media on it now does it?? 3) Provide you with a destination that should both entertain and edify!